One of the many reasons people are still using fax as a medium of communication today is that you can keep your documents safe, have a record of correspondence and you know exactly where the documents are. That benefit does not cease when you use our Fax-to-Email services, if anything they actually increase. When you have a FaxFX Fax-to-Email account, it comes standard with an automatic archiving feature and you do not have to pay any extra costs to have your account activated and maintained over time. Whenever you send a fax you have the option to archive the documents electronically. This means you save paper, ink and the trouble you would have gone to physically filing the documents. It cannot be stressed enough how risky it is to archive files by physically filing them. There is always the risk that someone could steal the file, or it can be misplaced or even burned if there is a fire. Whereas archiving them electronically with the FaxFX archiving feature minimizes those risks as everything is saved on your computer, and you are the only one who has access to them if you have a personal password set up. Prevention is better than cure and at FaxFX we believe in making life simpler for you and keeping your documents safe is a top priority of ours. 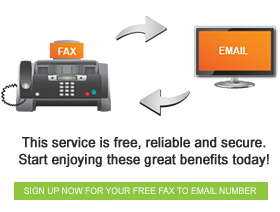 Sign up for a FaxFX Fax-to-Email account and start enjoying the benefits today. This will not only benefit you but the environment as well.